* with the exception of cargo vans. NOW with ZERO Excess! No upfront payments, no deposits on your credit card. We offer the best prices on the car rental market. We show you the price comparison of Espacar with other low-cost car rentals. Pick the van that best adapts to your needs, with the best prices and without any extra costs. Consult our wide range of semi-new, km 0, and used vehicles. Vehicles with guarantees and custom financing. Discover exciting, unique destinations during your visit and enjoy an unforgettable experience. Hiring a car to visit Malaga is the most cost-effective option if you like driving and managing your own holiday schedule. Indeed, booking your car hire from Malaga airport or Maria Zambrano Train Station (RENFE) allows you to experience the many beautiful spots in Malaga at your own pace. From Plaza de la Merced in the city centre to the sunny beaches in El Palo or the Alcazaba castle, car rental saves you the time of waiting for the public transport. Once your flight arrives in Malaga, you can rely on Espacar Rent a Car to make the best out of your travel holiday. And how do we make this possible? By offering top car hire Malaga service with no hidden costs, at an affordable price and free of deposit. All car hire packages include a comprehensive insurance coverage, so that you can focus on enjoying your time in Costa del Sol. Every day the Malaga-Costa del Sol Airport (AGP) receives over 400 flights, with thousands of passengers filling the taxi stops, buses and trains. Therefore, what better way to jump the queues and free yourself from stress than renting a car with Espacar? Our staff will wait for you in the arrivals area, before accompanying you to the airport´s public car park where your car will be delivered to you. This is what we call “meet and greet car rental”. For this reason, it is recommendable to specify your flight number as you complete the booking on our website. So even if your flight is delayed, we will be there waiting for you. Are you coming by train and need a vehicle at María Zambrano Station? The RENFE María Zambrano Station, next to Vialia shopping centre, also receives a large number of visitors from different areas of Andalusia and Spain.The famous AVE high speed train from Madrid, Barcelona and other big cities in the country stop at Maria Zambrano. Our staff will be waiting for you as soon as you leave the platforms on the left, next to the lifts, in order to accompany you to the public car park where we will deliver the car to you. 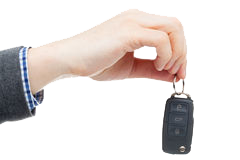 In order to collect your car, you will simply need to present your passport, your driving license (held for at least two years) and a valid credit card - from which no amount will be blocked and no deposit will be taken. Payments can be done with Visa, Mastercard or American Express card. Select the dates of your stay in Malaga, choose your favourite car model (Clio, Megane, Qashqai, etc.) and select the rate that best suits your budget, without surprises or hidden costs. Already planning your next getaway? For further questions, you can contact Espacar and we will find the ideal vehicle for your trip plan. You can make the most of your stay in Malaga and the Costa del Sol, enjoying the good weather, the broad selection of cultureañactivities and museums and the delicious gastronomy of this region. Please remember that we also have offices in Estepona, very close to Marbella and La Linea-Gibraltar. So you can have Malaga to Estepona, Gibraltar to Estepona or Malaga to Gibraltar car hires at no additional cost. If your plans include a visit to Gibraltar, remember that the Espacar terms allow you to do it without having to pay extra. We wish you a happy stay.